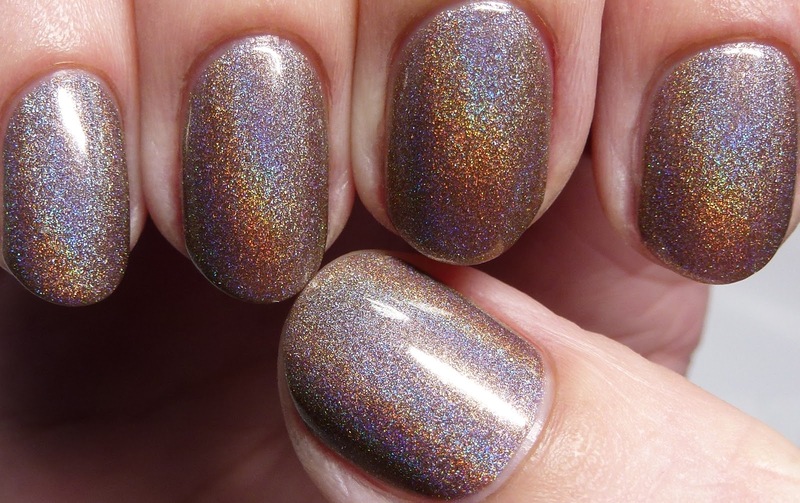 Marbles For Polish Sentinel was from the brand's fall release, comprised of four lovely holos. 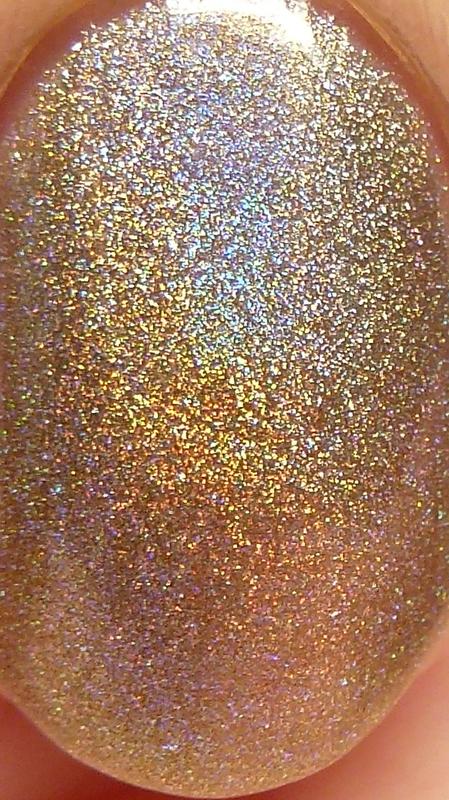 Shannon's shimmer holos have blown me away this year, but this one was especially stunning, worn here with three thin coats! 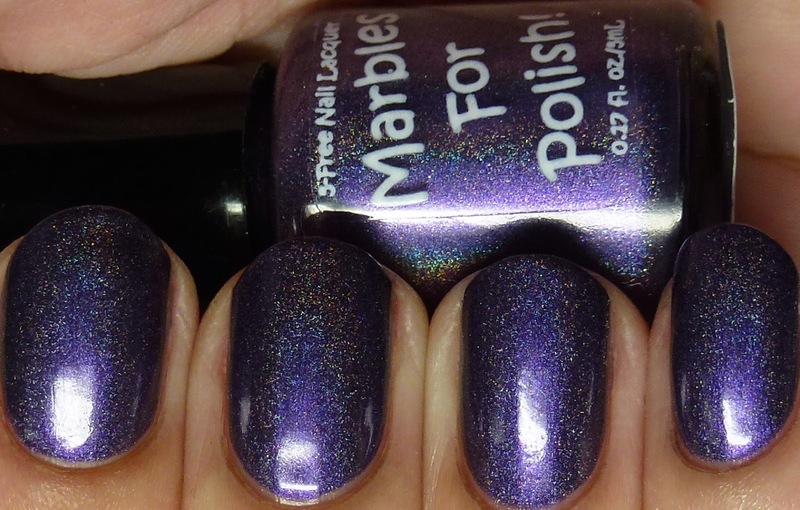 Marbles For Polish was one of my most-worn brands in 2014 and I love the quick-drying, easy formulas. 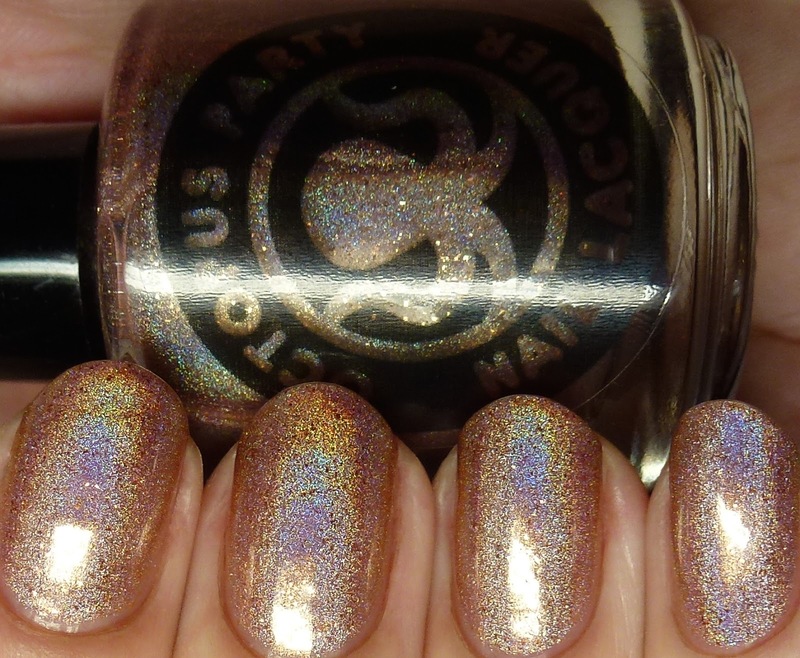 Octopus Party Nail Lacquer Homeward Sound was in the Nordic Winter Duo with Carpe Noctem Cosmetics. 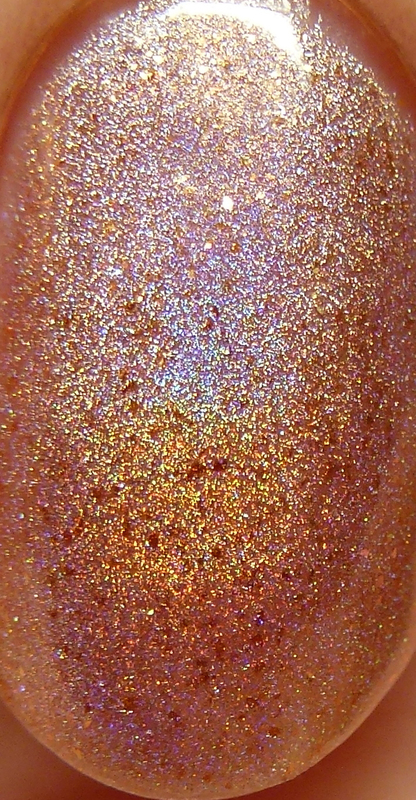 It is a rose-gold linear holo with gold flakes and can be worn on its own in 2-4 thin coats, or as a topper. Just stunning! Dave is not only a hoot, but he is a talented polish maker who is coming up with some unique and gorgeous finishes. His winter duos with multiple brands were a smash hit! 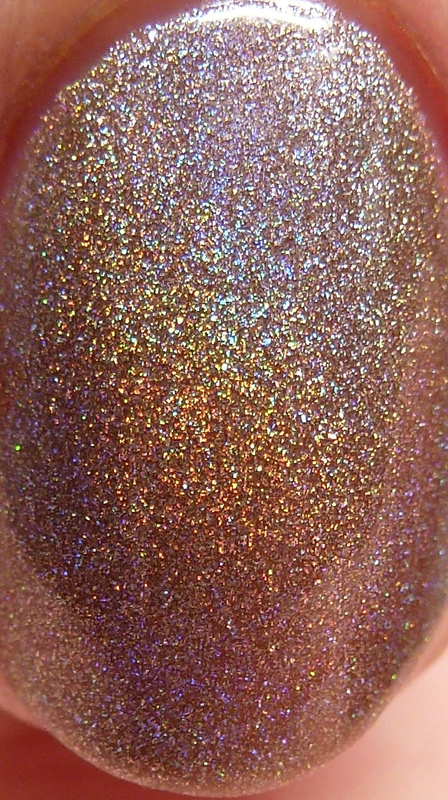 Ooh La Lacquer is another long-time favorite of mine - I've been a customer for over two years now! 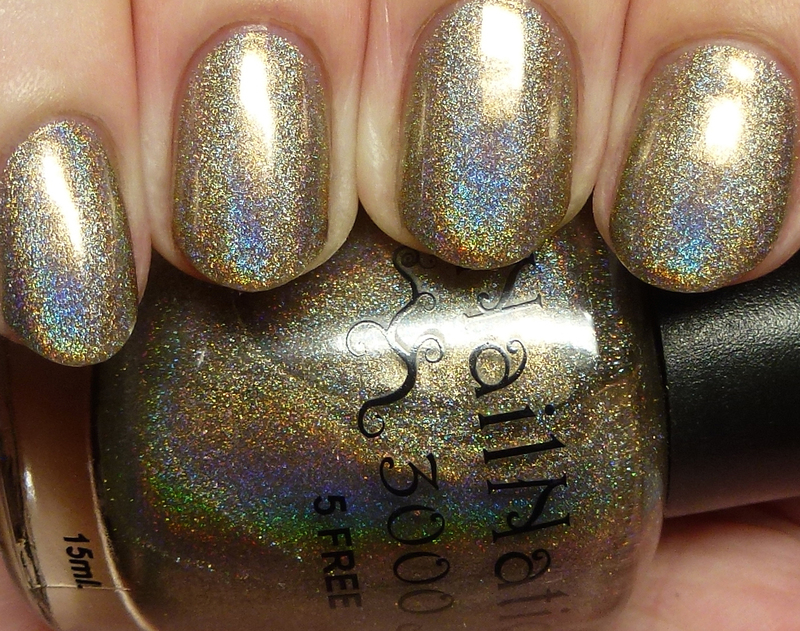 While it was also hard to pick a favorite from Nastassia's offerings, I settled on Glen Cocoa because it is such a stunning taupe holo - quite the rare beast! 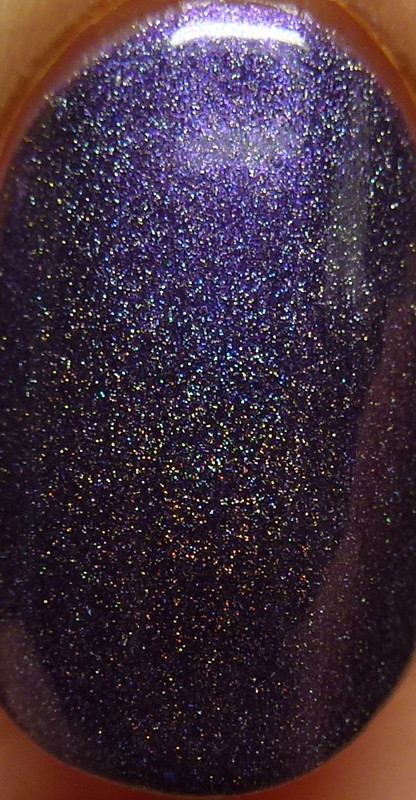 This was four thin coats, and it had a perfect formula that dried quickly. I've got one last favorites post for you tomorrow! As on the last posts, you can click the shop names for a link to their stores.